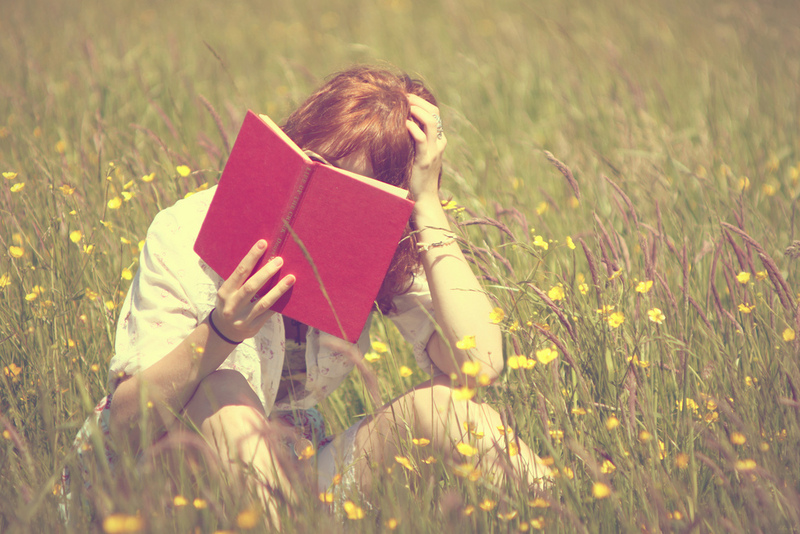 Think of the way most EFL‏‎ students read. In classrooms across the world they pick up English books in order to study them. After students have read a text they know that the next step is likely to be them being tested on the meaning of various words‏‎, some grammatical constructions‏‎ and then their comprehension‏‎ of the text as whole. In other words reading is a job. It’s work. When something is a job or work we treat it differently. This often means we rush through it in order to finish it quickly so we can then do something more enjoyable. When it comes to reading this means your students pick up a text and their main focus of interest is going to be going through it as quickly as possible in order to put it down. The consequences are obvious: they’re not so attentive and because they have no interest in the text they will not learn so much from it. On the other hand, Reading for Pleasure – or Extensive Reading – is something enjoyable and something your students will want to do. They pick up a text not because they’re told to do so but because they know they’re going to enjoy it and find it fun. There are a number of reasons why it is good for language students to read for pleasure. The obvious ones are those which apply to us all: reading takes us to places we’ve never been before and introduces ideas beyond our imagination! And often they will expose themselves to the culture behind the book. For example, if they were to read a PD James detective novel set in England they will learn about certain aspects of English culture which they would not normally be privy to. Reading for pleasure does give tremendous benefits to a student but it is always worth remembering, however, that it is not a quick fix for a class. It takes time to show benefits but given that time, those benefits will come. Since, for most students, reading in English is associated with work, they need to be shown that reading in English can be for pleasure and they should read not because they have to, but because they want to. The right level; students will become very frustrated with books which are too high a level‏‎ for them – they are unlikely to skip back a few pages to re-read a passage to understand it better and are more likely to put the book down. On the one hand they should not need to pick up a dictionary every few words but on the other they shouldn’t find the book so simple to be banal; the answer here is often graded readers. Of interest to them; it is incredibly important that the subject matter is of interest to the student which means that the book should be something the student might buy and read in their own language. This last point means that you cannot choose a single book for the whole class! So, perhaps following a needs analysis‏‎ you will have a reasonably good idea about what your students would like to read along with the level they will be most comfortable with. The next step then is to build up a library for your school (if it doesn’t already have one) and make sure it has the right books for the students. If should offer as diverse a collection of material as possible in terms of both level and subject matter (and budget). If at all possible you should try to check out each of the books there and have at least a rough idea of their level and content (even if this only means reading the blurb on the back of the book). One important component in getting your students to read is your own enthusiasm; if you can suggest a book for a particular student and arouse their interest in it (and then be proved right after they’ve read it) you are on to a winner! Take into class a large pile of books and go through them one at a time, discussing informally the content of each one (which you know, having read the blurb) and then giving out the book to whoever fancies reading it. Make sure there’s something for everyone! Teacher Tip: Remember, when you give out a book note down who received it and the date; you need to keep your library up to date and know where everything is. At the end of the class, set aside 15 minutes or so for silent reading. Again, for the first few times, you’ll need to explain to the class that they have time now to read freely and they won’t be tested on comprehension or vocabulary or grammar or anything else for that matter. At the end of the 15 minutes they’ll put the books away and no more will be said on the subject. Set aside 15 minutes each week for silent reading (the lesson before remind the students to bring their books but also have a few bits and pieces of suitable reading material prepared for those who forget). Allow dictionaries for those who would like to use them but stress that the students are reading for pleasure and fluency so if they don’t understand something they are free to guess and move on without interrupting the reading flow. Always encourage reading outside the classroom. Every so often you might like to initiate an informal discussion on the books, encouraging students to talk about them however remember to keep the idea of work out of this – if a student doesn’t want to talk then never put them on the spot but smile and move on. You read! Instead of walking round the class looking over shoulders while your students read, you choose a book and start to read it as well. This is useful in several ways as it puts you on the same level as the students and during those informal discussion sessions you can also talk about your own book and your reactions to it. After a student has finished a book, they can (optionally) write a short review which is slipped inside the book for others to read and comment on.